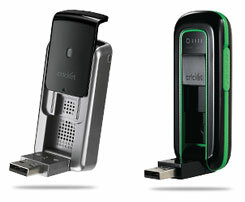 Will my Cricket USB Modem work with a Virgin plan? I have a Cricket Modem but have come to believe that Virgin offers a better wireless plan. Will my Cricket USB modem work with a Virgin plan? Comments for Will my Cricket USB Modem work with a Virgin plan? Good question! As cross-carrier compatibility/openness begins to gain more visibility, this type of question will become more and more common, so I'm glad you asked it. Most carriers (postpaid and prepaid) do not generally allow phones (or modems) sold by other carriers to be used on their plans/network. There are some exceptions. For example, MetroPCS and Cricket Wireless will allow flashed phones to be supported on their plans. Depending on the phone some features may not work, not work properly, or not work consistently, though this is getting better and better all the time. Note that this is a function of the way the phone and network/plan interact, and not a desire on the side of the carrier to try to cripple your service. Wireless dealers, and sometimes even company owned stores will often help you flash your phone. Cricket in particular officially calls these phones CPE or Customer Provided Equipment. Now, with that as background, to answer your specific question about using a Cricket prepaid modem on a Virgin Broadband2Go plan...well...the answer is NO; it will not work. First, note that Sprint/Boost/Virgin generally do not allow non-Sprint/Boost/Virgin phones to be used on their plans. In fact, there are limits even to which Sprint phones you can use on a Boost or Virgin plan (and we know they are 100% compatible b/c it's the same carrier!). Even the exact same model Sprint phone won't work on a Boost or Virgin plan. They do this by design for a number of reasons, which I can get into further detail if you're interested. So in terms of modems, even though Cricket, for example, supports CPE for phones, this is not the case for modems, and moving a Cricket modem to Virgin will definitely not work. Bringing a Virgin modem to Cricket in theory should be possible using the same flashing logic, however, it's not generally known to be happening. That's not to say that people haven't successfully done it, however, there's no known program per se. If someone has done this, we'd love to hear from you! So, unfortunately, if you want to get a Virgin plan, you're stuck buying a new modem. Their MiFi device is a pretty decent device though, so that may be one you want to check out. href="https://www.prepaid-wireless-guide.com/mifi.html">MiFi offers you more flexibility than a USB modem that you may find appealing.